On 10th April 2019, PETRI’s team participated in a non-formal event organized by Smokinya Foundation in Sofia, Bulgaria. 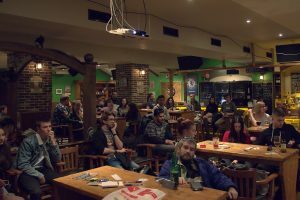 The event took place at the Raven and the Cannonball bar and the goal was to gather, exchange experiences, create new contacts and share what the Erasmus+ program and youth mobility are. 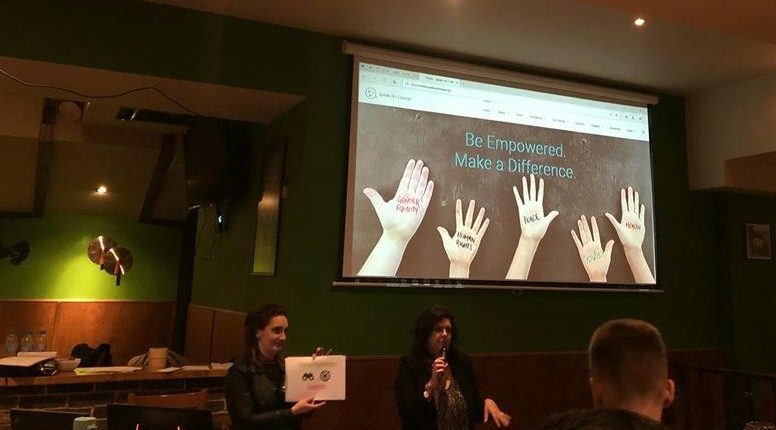 Several Bulgarian non-profit organizations (NGOs) delivered presentations about their field of work and activities, and initiated a call to action for the audience. Also, the NGOs introduced various opportunities for inclusion and participation in different initiatives in a fun, useful and informative way. The topics which were mainly discussed were the following: Erasmus+ and European Solidarity Corps, different opportunities and how to take advantage on them, as well as the basic synergy method. Further, the attendees were able to ask questions and get responses from the NGOs and guest experts. The event started with a brief introduction of Smokinya Foundation, the NGO staff members and EVS (European Voluntary Service) volunteers. The presentation was followed by an ice-breaking game aiming to make the participants feel comfortable and engaged in discussions. After the presentation, each NGO had 8 minutes to present their work. The NGOs which took part in the event were: Smokinya Foundation, PETRI – Sofia, Open Space Foundation, Teach for Bulgaria, Connected for Future, GLAS Foundation, and Alternativi International. PETRI’s team delivered a presentation about their work and activities, and introduced the Speak Act Change – online advocacy platform. The event turned out to be successful – the participants enjoyed listening to the presentations and networking with different NGOs! We are thankful to Smokinya Foundation for inviting us to participate in this inspiring event and we hope to have more events like this one in near future!